Open Mat Nov. 24: The first of 3 preseason open mat nights start tomorrow for our youth. 5:45-6:30 for beginners. 6:30-7:15 for experienced wrestlers. The beginner session will involve coaches showing basic technique and having the kids practice the moves shown. The experienced session will involve drilling and live wrestling to prepare those gearing up for the early tournaments. It is at the parent’s discretion to choose which session they feel would be the most beneficial for their child. We will be weighing each wrestler during the preseason open mat practices. We will use these weights for the scrimmages we have coming up. Scrimmage Dec. 9th: There will be a sign-up sheet just to your right as you walk in the wrestling room for those interested in participating in the scrimmage against CF on December 9th. The scrimmage will take place in our wrestling room and start at approximately 6:00. Wrestlers are paired by age, weight, and skill level. This is a great opportunity for all. Most Dedicated Wrestler: We will again be honoring the “Most Dedicated Wrestler” for each grade at our end of the year party. Each practice/scrimmage or tournament your child attends, they can fill in a square next to their name. These sheets will be hanging on the wall just to your right as you walk in the wrestling room. We want the kids to fill these squares in on their own! Upcoming Tournaments: Waseca is having a PreK-8th grade “Thanksgiving Throwdown” tournament this Saturday, November 29th. We could compete for a K-6 Team Award if we can get 10 wrestlers to attend. Faribault is also hosting a PreK-8th grade tournament on Sunday, November 30th. 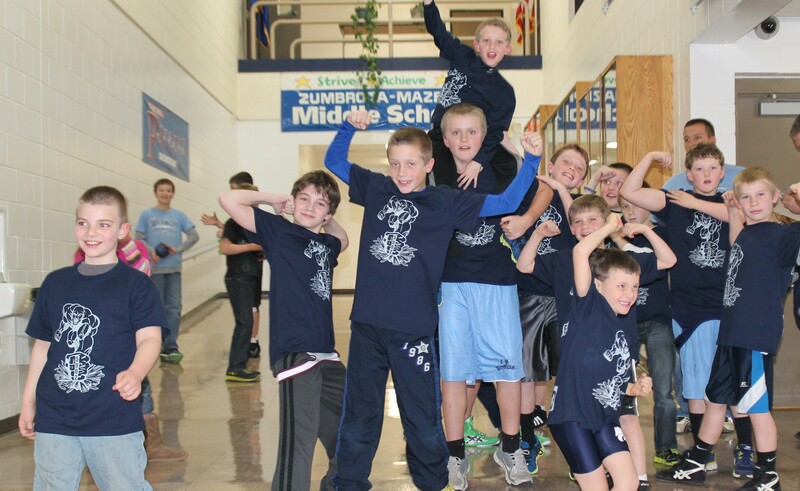 A reminder that youth registration is tomorrow night at 6:30 in the Mazeppa school large gym. Prior to registration we are hosting a free beginner practice that starts at 5:45 in the wrestling room. Those wishing to use their Kwik Trip money to pay for registration still need to write a check to ZM Schools. Brota Valley can reimburse you when you provide a copy of your registration form. See you tomorrow night!